The United States Attorney’s Office for the Southern District of Texas confirmed Friday that the case against former Tamaulipas governor Tomas Yarrington will remain in Brownsville. 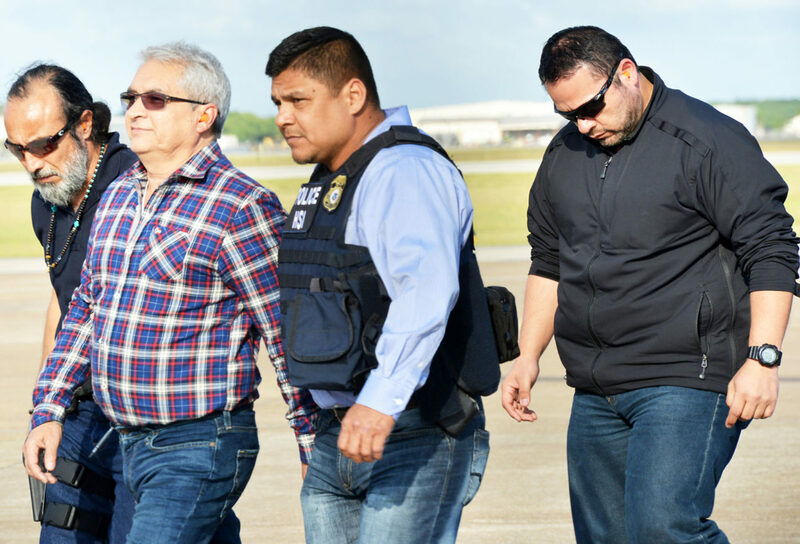 The United States extradited Yarrington, 61, who is also a former Matamoros mayor, from Italy this spring to face a 53-page, 11-count indictment accusing him of racketeering through conspiracies to possess and distribute large amounts of narcotics, as well as several money laundering and bank fraud charges. Yarrington has pleaded not guilty. The first public filing in weeks revealed that U.S. District Judge Hilda Tagle allowed more time for discovery in the case because of its complexity and set a motion hearing for March, 2019. Prior to that filing, there had been 10 sealed filings and six sealed orders since April 5, a little more than two weeks before when the former official arrived in Brownsville. Yarrington is accused of committing multiple crimes over a period of 20 years, starting when he first ran for governor in 1998, when prosecutors allege he began taking millions of dollars in bribes from the Gulf Cartel and Los Zetas to assure that police authorities in Tamaulipas would not interfere with the cartel’s illegal business. At the time, Los Zetas served as the Gulf Cartel’s armed wing before the factions split violently. According to prosecutors, the former official escalated his involvement in trafficking multi-ton loads of cocaine between 2007 and 2009 through deals he allegedly reached with the Gulf Cartel and Beltran Leyva Cartel that allowed the trafficking organizations access to the Port of Veracruz for large shipments of cocaine. Federal authorities allege Yarrington received a percentage of each load. Yarrington is also accused of taking out fraudulent bank loans, stealing $60 million in pesos from the public and being involved in illegal land deals throughout South Texas. His codefendant, Alejandro Cano Martinez, 61, remains a fugitive.